Four steps were required to bring oxygen into the missile base to provide fresh air for personnel and for the base’s diesel powered Power House. After the air comes through the blast valves it past into the dust collectors, then to the copper heating coils and again into a huge room sized humidifier. 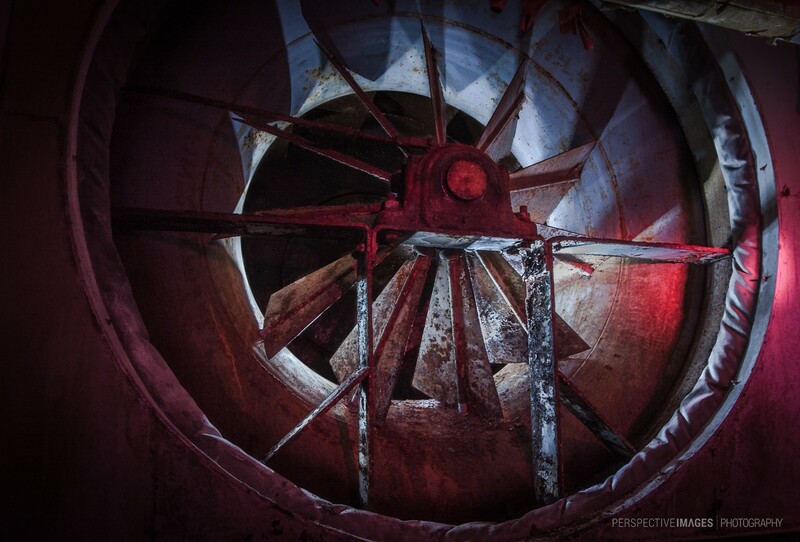 The fan in this image was the last step before the air reached the Power House dome and the rest of the complex. love, love the coloring in this. really intriguing image. Nice. Love the red and cool lights. You’ve certainly captured the feeling of claustrophobia here! Great colour toning. I love the image contrast. Very nice work!